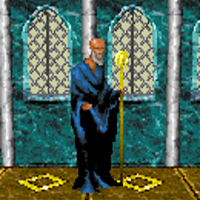 The Order of Arkay is devoted to the God of Birth and Death. Arkay is the great spirit who brings every man and woman, human, elf, Khajiit, and Argonian into this world, and when the time is true, ends their circle. Arkay is fertility and blight, joy and sorrow. At the Order, they celebrate the Blessed Neutrality that Arkay stands for. While they do not offer strangers blessings, for to give favor or curse would be to upset the eternal balance, the Order offers much to its members. Their libraries and sages are some of the finest in Tamriel. Of course, few are worthy to be initiated into the mysteries of Birth and Death. Your health will be fully restored if you speak to another member of the Order, even as a Novice. 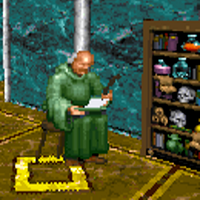 The Apothecaries of Arkay sell potions to members of Initiate rank or higher. Their assortment is determined randomly. Your reputation with the Apothecaries will influence the price of their wares. The Binders of Arkay sell soul gems to members who hold the rank of Curate or higher. However, such gems are useless without a Soul Trap spell. Sometimes the Binders will have filled soul gems available for purchase, but such gems are often of immense value and consequently, are very expensive. Your reputation with the Binders affects the price of their services. 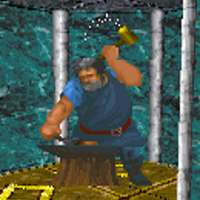 The Mixers of Arkay offer potion making services within the Order of Arkay. They allow members of Curate rank or higher to make their own potions, provided they have the required ingredients and recipes. Their services are free. As their name implies, the Summoners of Arkay will summon a Daedra Prince for you if you hold the rank of Diviner or higher. In order to use these services, you must first possess the immense amount of gold required to make the attempt. Summonings can only take place on certain days of the year. Your reputation with the Summoners will affect the price of their services. 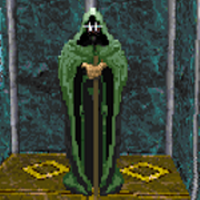 The Teachers of Arkay offer training in skills related to the Order. The cost of a training session is dependent on your character level, 100 gold per level to be precise. The Teachers will also train non-members, however this will cost 400 gold per character level. Like all trainers, they can only train a skill up to 50%. The Temple Blessers collect donations for the Temple. Large donations will improve your reputation with the Deity and may grant a temporary Attribute boost. 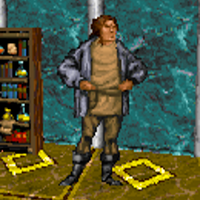 Temple Healers can cure every known disease, including the early stages of vampirism and lycanthropy. These services are available even to non-members. The costs of these services depend on your Mercantile skill, the severity of the disease, and your rank within the Temple. Additionally, these prices may be discounted (or free) on certain holidays. Healers will also restore any damaged Attributes for free, however this service is only available to members of the Temple. 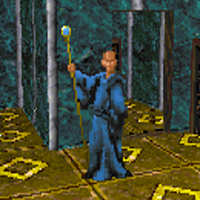 The Temple Missionaries are the devotees who offer quests for the Temple, and reward you for successfully completing them. Missionaries may offer a multitude of quests for Temple members (including one Temple-exclusive quest), and a few for non-members. This page was last modified on 4 October 2017, at 12:43.